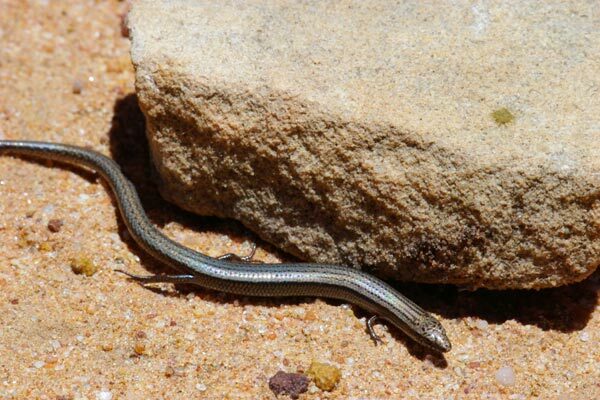 There are so many species of small skinks in Australia that you have to really pay attention to distinguish one from another. I thought this one was another Menetia greyii, a species I had seen the previous day, until I studied the photographs more carefully. So when in Australia, one should either travel with a professional herpetologist, or photograph every lizard you see just to make sure you don't miss any species. Preferably both.